Well, DC went and did it. They went to San Diego, hosted their panel about their characters on film and ended with a quote from Frank Miller’s The Dark Knight Returns. And then they flashed a logo on screen that showed the familiar Superman S (or Hope if you’re Kryptonian) set against the backdrop of the equally familiar Batman bat. What followed was a roar of applause and cheers, followed immediately by rampant speculation. And while DC got the immediate reaction they were looking for, what happens next is entirely up for debate. DC’s path to bringing their superheroes to the big screen has been admittedly clumsier than Marvel’s. Instead of building a cinematic universe based on a wider range of superheroes, DC is building the universe on the back of Christopher Nolan’s tone in the super-successful Dark Knight trilogy. Christian Bale redefined the role of Bats, but he’s been very clear he’s not returning for the role. That’s a rather crushing blow for DC and Warner Bros., both of whom are seeking to build a blockbuster film universe around their characters like Marvel. Marvel is making films that don't take themselves too seriously; DC is making films that treat you the viewer as if your dog just died. The thing is DC doesn’t seem to want to go that route. They haven’t really shown any indications that they want to establish lesser-known characters like Green Lantern and Flash first, tying them into an overarching universe. Sure, Ryan Reynolds starred in the debacle that was the Green Lantern film, but it didn’t exist within the DC universe on film. They’ve made the decision to make Man of Steel their linchpin film for starting their cinematic universe and it’s chock full of Easter eggs referencing other facets of the DC universe. For instance, there’s a Wayne Enterprises satellite, LexCorp buildings and the hint of Supergirl roaming the planet as well (Collider has a really good, spoiler laden summary of all the hidden gems). And that’s one of the biggest differences between DC and Marvel when it comes to their characters showing up together on screen. As a matter of fact, if you look at the logo above, you’ll notice it’s not the Nolan Bat symbol, but a new Bat symbol, slightly less stylized and more traditional. Marvel lays out the characters beforehand (Iron Man, Thor, etc.) and then when you see them on screen together, there’s nerd euphoria. DC on the other hand is a lot subtler, dropping in hints as mentioned above. It’s almost as if they’re reluctant to be so blatant in their cinematic universe building and are worried that people won’t see the movies. Everyone will see a Justice League movie if it ever happens. That’s not an issue. What is an issue is how well that movie comes together and whether or not it plays to such an obscure sliver of the audience’s knowledge of the DC universe. DC also seems to be putting a lot of responsibility on Nolan and Zack Snyder. Nolan is becoming to DC what Kevin Feige is to Marvel: overseeing all facets of the DC universe. The thing is, if you take a look at Feige’s resume, he’s ONLY produced Marvel films. In fact, every Marvel film released since X-Men in 2000 bears his name. He knows the Marvel universe inside and out and it shows. Nolan on the other hand, really only came in with Batman Begins. He’s clearly a brilliant filmmaker and that’s not to say that Nolan can’t get the job done; it’s just that he’s learning more about the DC mythology as he goes. Snyder is a much different story. He’s made a few blockbuster films, including 300 and Watchmen, but you can’t help but feel that Man of Steel doesn’t really have a soul per se. Joss Whedon infused The Avengers with so much adoration that it oozed from the characters in their roles. Jon Favreau was part of the reason Iron Man was so great; not just because he played Happy, but because he brought a lightheartedness to the film. Marvel is rotating in and out a lot more directors for their films, but the same tone is there. DC wants The Dark Knight tone in all their films it seems and it doesn’t seem like Snyder is the right person for that job. 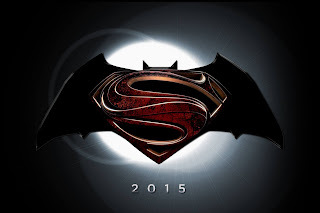 There’s an inherent fanboy reaction when hearing that Batman will go against Superman in a movie that’s not animated. There’s also an inherent skepticism as to whether or not DC can pull it off. As it stands right now, it really feels as if the two are being forced together to stem the pummeling DC is taking at the hands of Marvel in the theaters. Batman and Superman are probably the two biggest draws of any comic book characters regardless of publisher and its clear DC knows that. Putting them together on screen against each other and not in the World’s Finest capacity is bold, but not necessarily brave. It’s a bit of dialogue loaded with symbolism and levity, uttered by Batman to Superman in The Dark Knight Returns. If that quote is any indication of where the sequel to Man of Steel is going, it says that DC is just getting started and that this likely won’t be the end of DC superheroes appearing on screen together. It’s an interesting strategy, making one film the birth of the DC cinematic universe. Then again, Action Comics #1 was the birth of the DC universe, as we know it today, so maybe it’s kismet.